Ever watch the reality show “Bait Car” on TruTV? A criminal steals a car, not knowing it belongs to local police. To stop the suspect, officers press a button and – ta dah – the car shuts down remotely. The suspect is taken into custody. The hope is people will think twice before taking vehicles that don't belong to them. 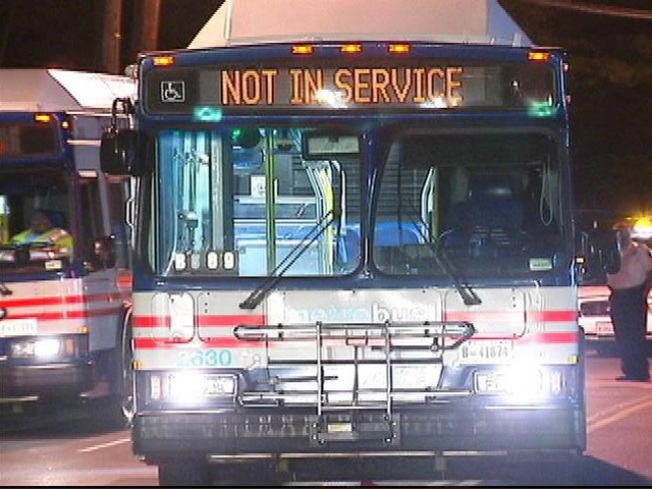 Metro plans to invest in similar technology to deter bus thieves. A new $18.6 million federal grant will fund a variety of projects to better secure buses and rails. It includes the installation of a so-called “bus driver authentication system.”. Metro bus operators will have to verify their identification on board the bus before they can start it. The system would also allow for remote disabling of a Metro bus if an unauthorized person drives off in it. Metro also plans to use the grant dollars to enhance security at Metrorail yards. Additional security cameras will be installed, along with more fences and brighter lights to keep potential thieves out. The money is coming from the Department of Homeland Security’s Transit Security Grand Program.